Piglet was a catalyst for a big Team Liquid win against Immortals. Team Liquid has been on quite the roller coaster over the last two weeks. In an AMA this week, jungler Kim “Reignover” Yeu-jin alluded to some tough scrims as the team moved AD carry Chae “Piglet” Gwang-jin to the mid lane and incorporated Jung “Youngbin” Young-bin at AD. That made it anyone’s guess what the team would look like in their Friday game vs. Immortals. The start wasn’t ideal. After burning flashes on some smart early movements, Liquid failed to capitalize and let Immortals take control of game one. Piglet did well for himself but the new bot lane was a disaster. By the time Reignover made his way down there to take advantage of the missing summoners, Immortals jungler Joshua “Dardoch” Hartnett matched him and turned the gank. That essentially lost Liquid the game, but they did have some moments. You could see the synergy that Piglet and Reignover, two native Korean speakers, were starting to build. 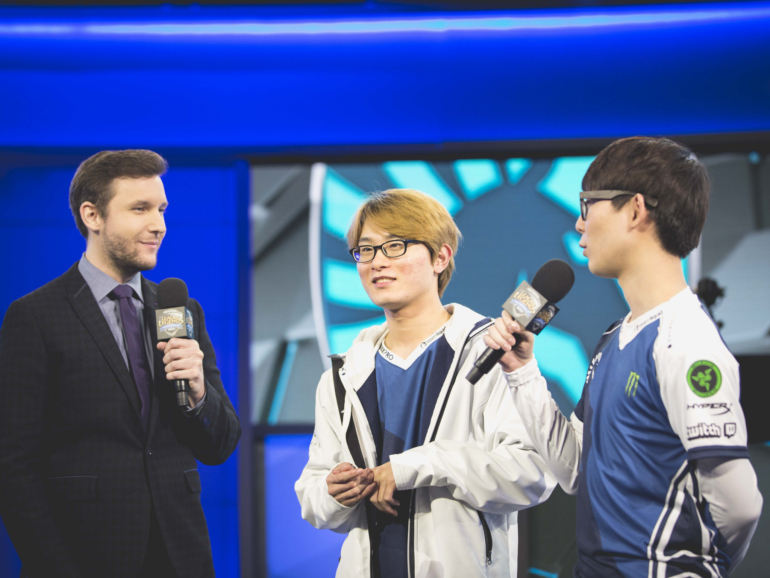 Piglet’s first two kills as an NA mid laner were earned when he came to Reignover’s defense. Of course Reignover was only in trouble because of poor vision control, but it was something to build on. Facing disaster, the team tried something different in game two and last-picked Ahri for Piglet. And that was when things turned around. Smart early pathing from Reignover matched Dardoch’s buff invade, and respectful laning from Piglet allowed them to put Dardoch in a bad place. Behind in tempo, Dardoch went for an over-aggressive invade that Piglet and Reignover punished for First Blood to Ahri. Liquid would give back some control via disrespectful invades, but they got the setup they wanted. It must have been a fun game for Piglet, being on the other side of the assassin against ADC matchup. He picked up kill after kill, coming out of the darkness to one-shot someone or flanking the backline in a team fight. He and Reignover finished with nearly identical scores—6/1/10 for the jungler, 5/1/10 for the midlaner—as Liquid rolled to victory. Piglet would get a different sort of carry in game three, Cassiopeia. It was a classic matchup between Cassiopeia and Eugene “Pobelter” Park’s Ryuze. But the most impressive part of this match was how the entire team supported Reignover’s early pathing, allowing him to invade Dardoch. Immortals would get First Blood in the bot lane, but for once, the Liquid mid laner was first to roam, earning Liquid an extra kill and infernal drake in return. That set up the mid/jungle duo for big things again. After looking awkward on assassin picks for much of the split, Reignover had a dominant game on Kha’zix. He was able to judge his damage correctly and his target selection was immaculate. An aggressive four-man dive by Immortals was turned around by Reignover and finished off by Piglet. The game-breaking moment came on a play near the Baron pit. Immortals pushed Liquid off their first attempt, but Samson “Lourlo” Jackson teleported back in for the fight. For a second, it looked bad for Liquid. Lee “Flame” Ho-jong’s Maokai jumped right in on Piglet. Somehow Piglet lived, blew up Pobelter, and snaked out of the fray. His ability to survive in a hectic moment gave Liquid a free Baron with which they would put the game away. Soon after the Liquid victory, the “#Midlet” memes started rolling in. They are well deserved—Piglet’s ability to arrive on time and deal damage in fights is a refreshing for a team needing a carry. But if anything, the story was Reignover having one of his best series. He still misplayed at times, especially when invading Dardoch’s jungle, but he worked extremely well with Piglet and Matt to set up Liquid’s win conditions. Even in the post-match interview, Piglet—who speaks good English—relied on his jungler for help translating. Midlet is the meme, but Reignover was the MVP in Liquid’s victory.